This app is based on my btPrint4 app. In contrast to btPrint4 this time we print on TCP/IP connected printers to port 9100. As with btPrint4 we have a main activity and one to list available printers and one to list available demo files. The challenge with ipPrint4 was a replacement for the bluetooth device discovery. This time we have to scan TCP/IP address range for port 9100. This port is also called HP direct printing port and supported by many printers. It behaves similar to telnet and you can just send print commands to the interface. The second main change to btPrint4 was the printing code. This time we do not have to use a bluetooth socket but a network TCP/IP socket. If you scan a range of IP addresses in sequence and try to open a port with a timeout of, let’s say 200ms, the scan will take (200msx254, scan from 1 to 254) 50 seconds. //scanning 250 addresses with 200ms each will take 50 seconds if done one by one! That long time seems too much for me to let the user wait. Fortunately there is a post at stackoverflow showing how to use an executer service to run multiple port scans in parallel. With the above solution the port scan finishes with 3 to 10 seconds.Much better than 50 seconds waiting. Every time a new open port is found the IP is added to the list. 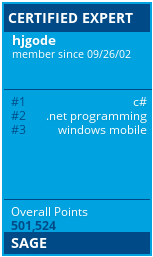 The process shows a progress cycle in the title of the list view activity. All status changes are send via a message handler from the portscanner code to the calling list activity. When a TCP/IP address with port 9100 is found and selected you can print a demo file to it. You can also enter an IP manually and then directly print a demo file to it. On startup the app checks for TCP/IP connectivity and ends, if there is no newtwork connection. It makes no sense to run the app without a working connection. The local IP is automatically inserted as ‘printer’ IP address (remote device). So you just have to change part of the IP for the printer’s address. The portscanner code is initialized with the device IP and then uses a class C conversion to define start and end address. This will not work if you have a class B or class A network. So there are possible improvements of the code. As we want to print to a socket, we needed to change the bluetooth connection code to connet to a network socket. And then we can write to the socket. The remaining code of ipPrintFile is similar to the one in btPrint4 and used to manage all the threads used. Hi, i am working on pos in which i want to print html format, is there any possibility to get HTML print using your app…. no, there is no HTML formatting or conversion included in the code. The code just shows how to connect to the printer directly and use the printer’s command language to print some demo files. If you are not familar with the printer’s command language, you are unable to print anything. However, i know its almost impossible to know if the printer has printer the text sent to it but i would like to know if there is a way of establishing a two-way communication with the printer. In fact, i am working on a project where there is a lot of traffic and proxy on the internal wifi and i would like to know if the printer(in the kitchen) has printed the order which the waiter has placed. To be sure that the job printed you may query the printer for number of printed pages before and after the job and, of course, query the printer status for errors like ‘paper out’. If you can query the printer depends on the printer software and imepmented printer command language.